Jennifer Wiese had a dream. 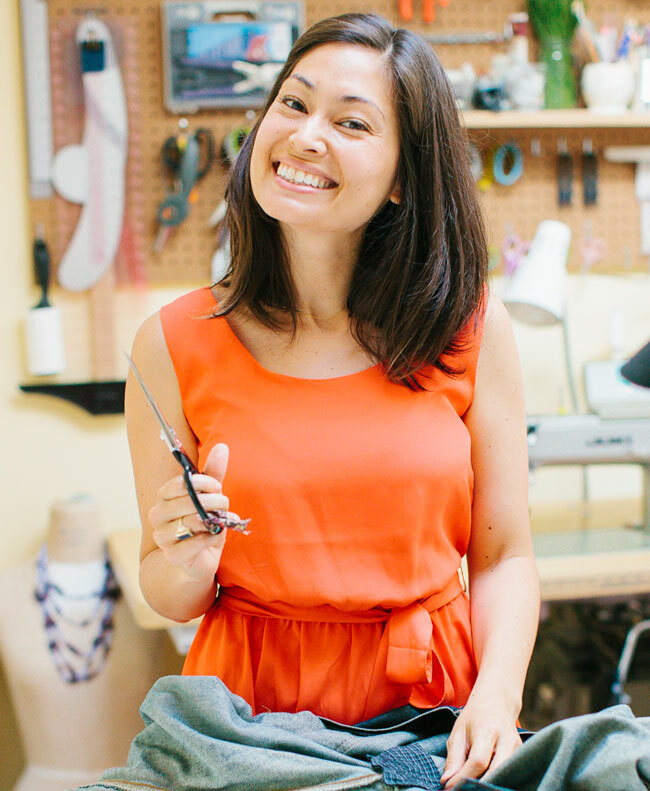 The founder of Brooklyn sewing studio Workroom Social wanted to create a weekend-long sewing event that brought a spirit of play and fun to sewing. In 2015, she hosted Camp Workroom Social, an overnight sewing camp for adults. She talks about why being present and open to imperfection is always better than fretting over mistakes – in sewing and in life. My takeaway from this is not to be married to the seam ripper. For me that involves determining which seams do need to be pulled out to make a needed improvement and which seams need to be left as they are so I can actually finish a project. I usually decide that if the garment won’t fit comfortably without taking a seam in or out, the seam ripper comes to the rescue. If it’s just a matter of getting a perfectly straight line then I embrace the imperfection and move on. Also, I love her croissant/bagel illustration for how to be more welcoming in social situations. Listening to Jennifer what struck me was how in person classes do require more than an ability on the part of the teacher to SEW. There needs to be more. Warmth, a sense of fun and adventure as well as good technical skill. I haven’t found one yet that really does this well. I’m sure Jennifer does an exceptional job of this. Most sewers I think tend to be introverts which may be part of the problem so this does make Jennifer unique. What a great seamwork radio!! I have really enjoyed this series.